Every year, for the Christmas holiday, my mom and grandmother would make a variety of beautiful and tasty cookies for us to enjoy during the holiday season. Mom would stack them high on beautiful platters, in the formal dining room, for us to enjoy. 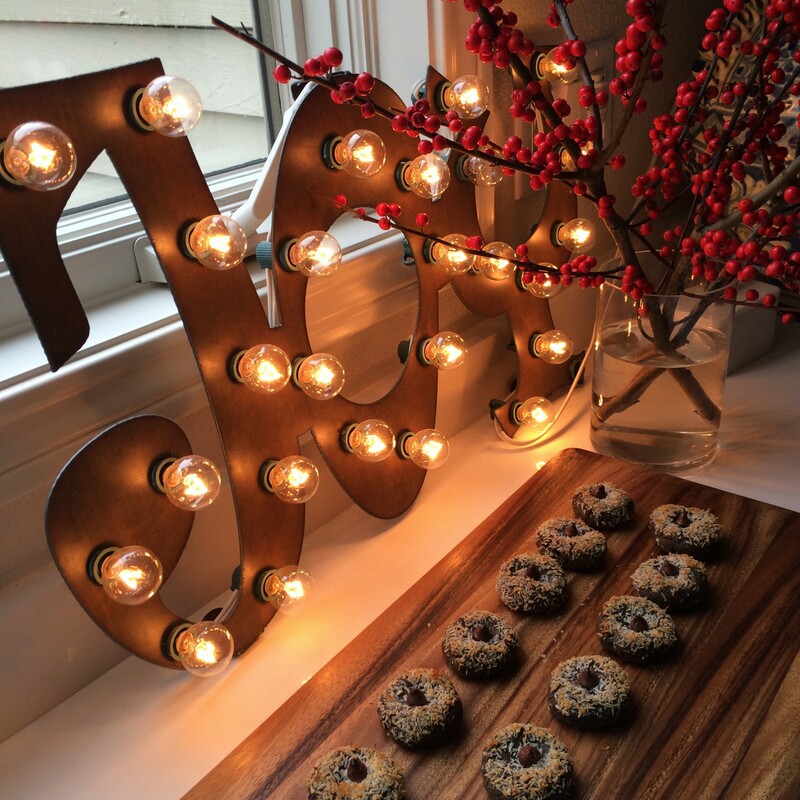 One of my favorite cookies is the jam thumbprints cookies. This season, my goal was to try to recreate them, into a GF version. I found this simple recipe from A Sweet Spoonful while searching Pinterest. As always, I feel that simple ingredients make the best foods, so I gave it a try, with a few adaptions. 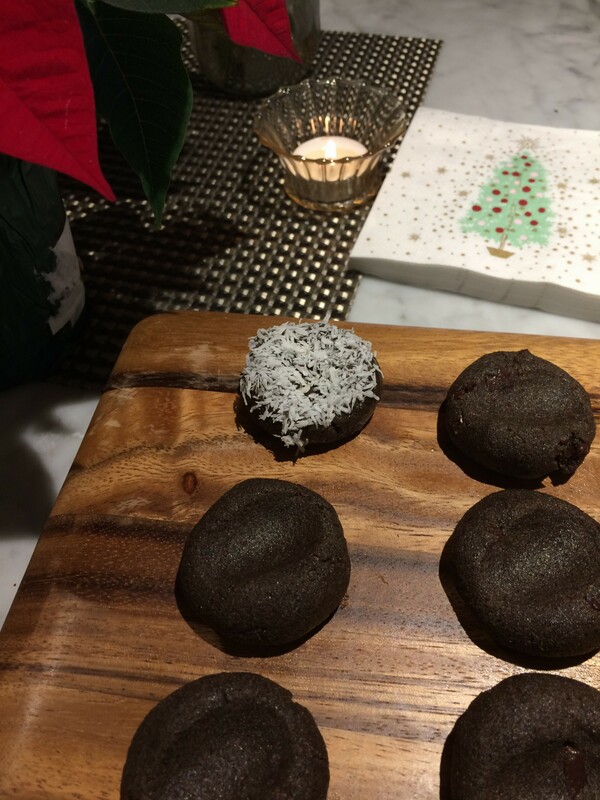 The base of these cookies is buckwheat flour. 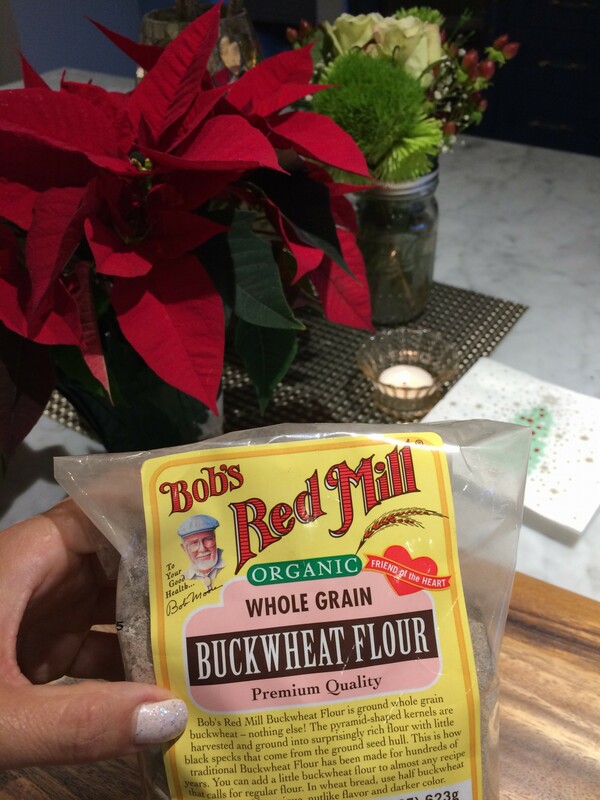 This earthy, nutty flour has a slightly grainy texture, almost sandy and is naturally GF. Since the only moisture in the batter comes from the butter and egg yolks, I decided to add chopped up chocolate chips to the batter, to distribute more oil and hopefully, promote more moisture into the cookie. I also used maple syrup, instead of sugar, to boost the moisture content. I used my hands to incorporate all of the ingredients. The dough turned out perfect. Getting ready to thumbprint the dough…. Now the fun begins! Roll the dough into hefty, 1 tablespoon sized balls. Carefully, make a thumbprint mark on each ball. Then, dip each cookie into the reserved egg whites, then into shredded coconut (nuts would work well too). The egg whites act as a glue for the coconut. Then add a single chocolate chip to the thumbprint in each cookie. Now, they are ready to bake! Note, because there’s maple syrup in the recipe, the bake time was reduced significantly, to reduce excessive browning. My oven runs hot, so they only took 12 minutes to bake. You know they are ready when the coconut just starts to lightly brown. Aren’t they beautiful!? Though the added chocolate and maple syrup add moisture, these tend to retain a dry texture, so they are best enjoyed, fully cooled with a hot cup of coffee or tea;) Next time, I might use melted butter or coconut oil as the “glue” for the topping. A festive GF chocolate cookie. Preheat the oven to 375 F. Line a large baking sheet with parchment paper. 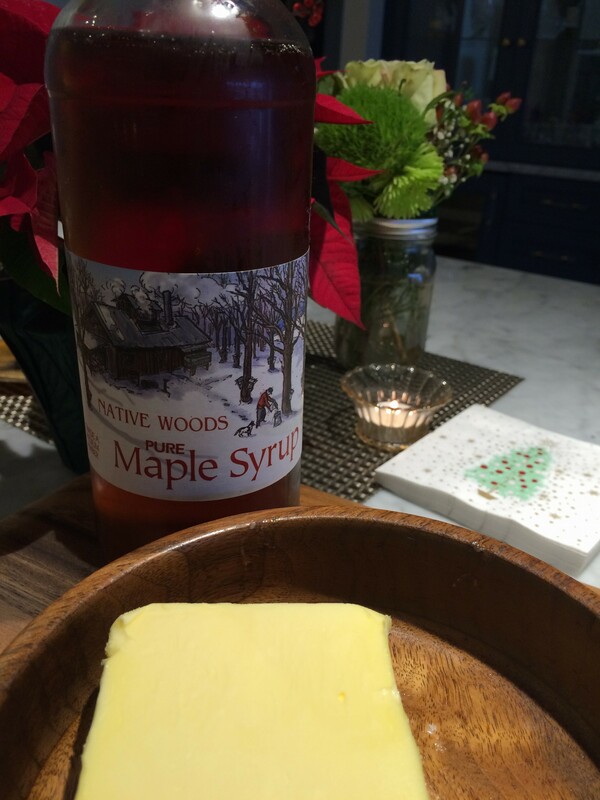 In a medium bowl, cream the butter and maple syrup together, using your hands. Add the egg yolks, vanilla extract, salt and flour. Mix well and knead together a few times with your hands to further incorporate the dough. Add chopped chocolate chips. Roll dough into 1 TBS sized balls. Whisk the egg whites. Place coconut shallow bowl. 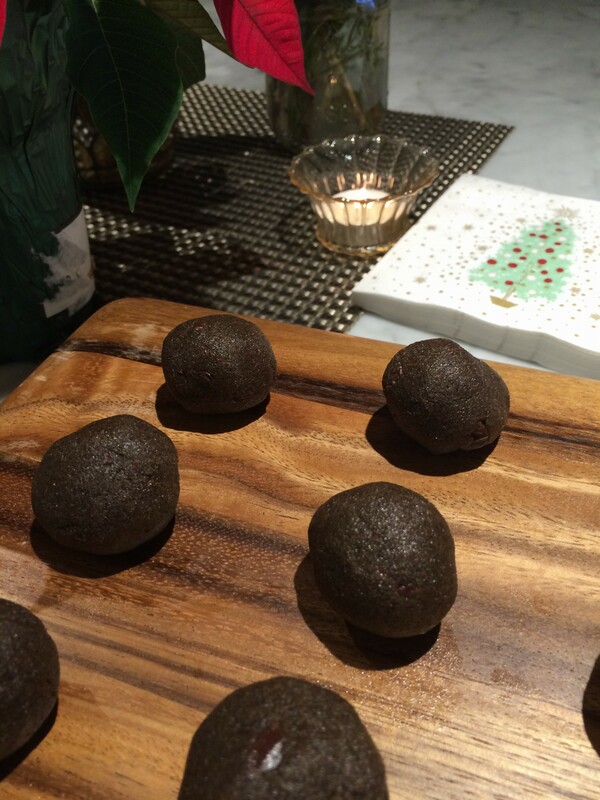 Place balls on baking sheet and using your thumb, press lightly, forming a thumbprint. Carefully place each cookie in egg whites and then dip in the coconut. Place a chocolate chip into each thumbprint. Bake for 12-15 minutes or until the coconut has turned a golden brown. The cookies should feel soft and they will firm up as they cool. Cool on cookie sheet for 15 minutes. I’ve always loved coconut macaroons. 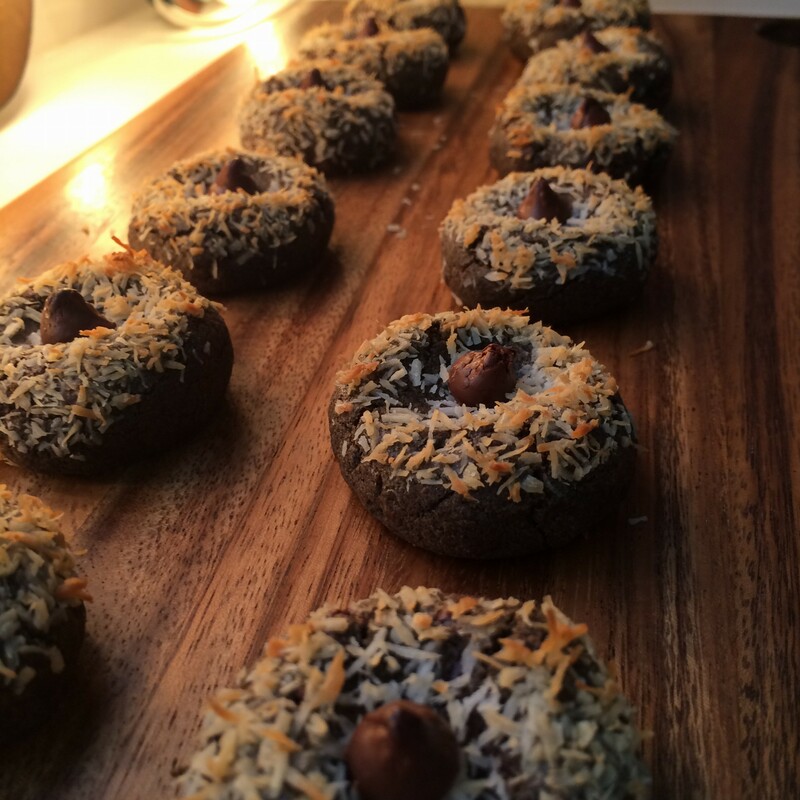 The toasted, sweet coconut is the perfect GF dessert, especially when it’s dipped in chocolate. Then I was introduced to the French macaron. 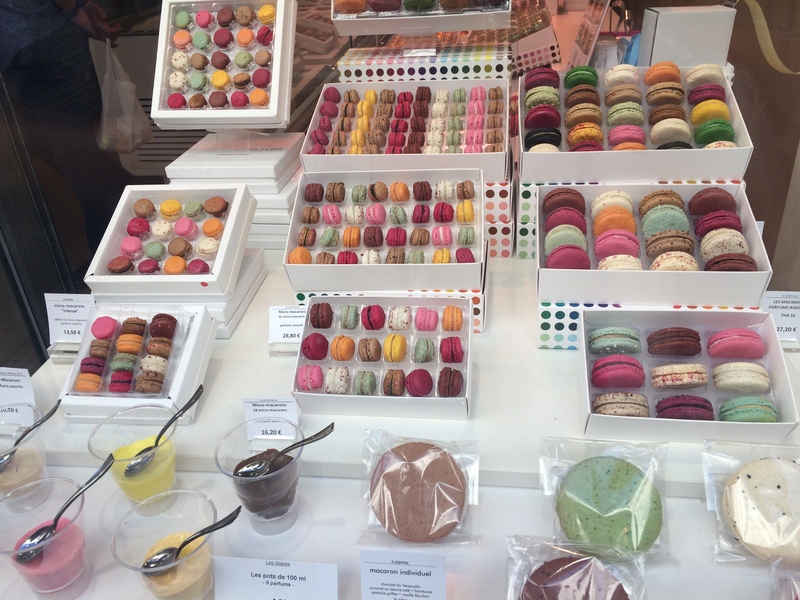 A gorgeous display of French macarons in Paris. 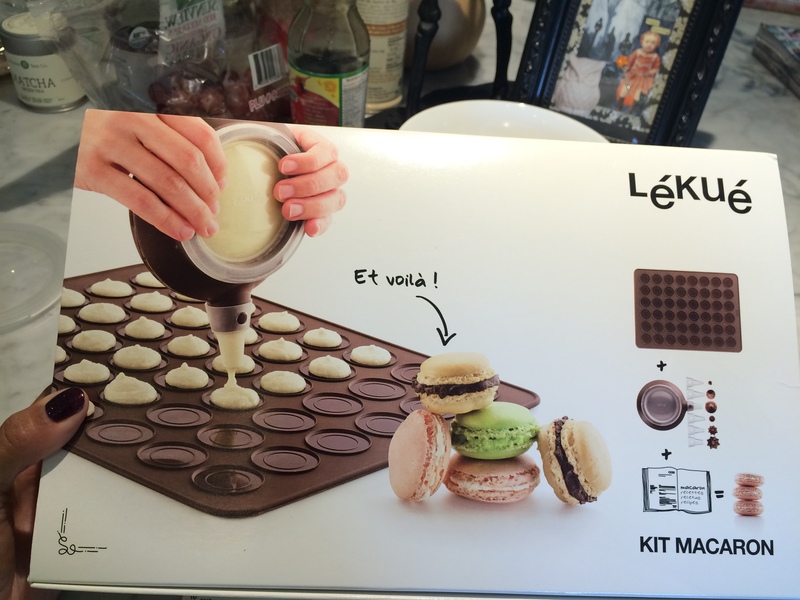 The Lekue macaron kit!! It intrigued me. Could I make my own macarons!? I opened the kit, which simply contained a silicon mat, dough dispenser and small cookbook. I think that using a pastry bag has always intimidated me. Something about having a reusable, silicon ‘bag’ was appealing to me. So I bought it! Before embarking on my macaron journey, I decided that I needed to do some research. 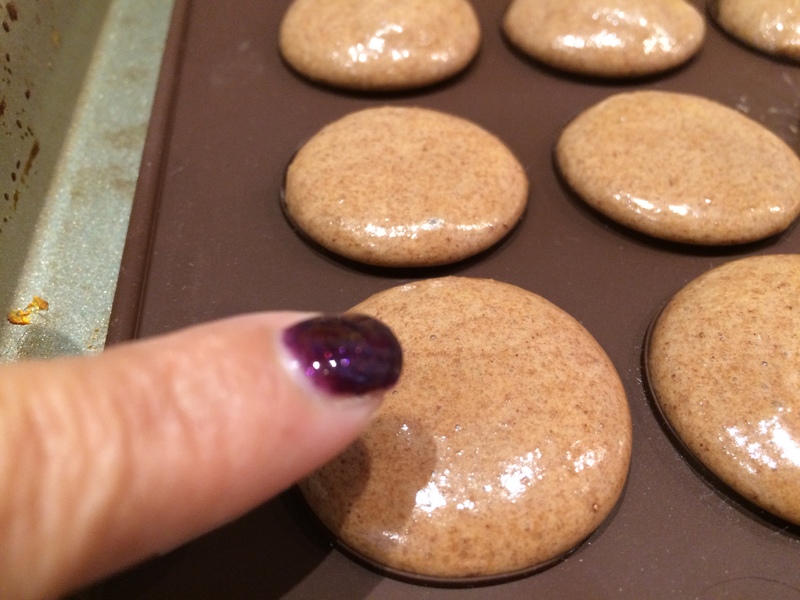 I found a whole blog post dedicated to troubleshooting every macaron issue imaginable at Misohungry. What I read, over and over again was the need to cure the egg whites. Basically, you leave them out of the refrigerator over night. If you are like me and forget this important step, you can put them in the microwave at 5 second increments, for a total of 20 seconds. 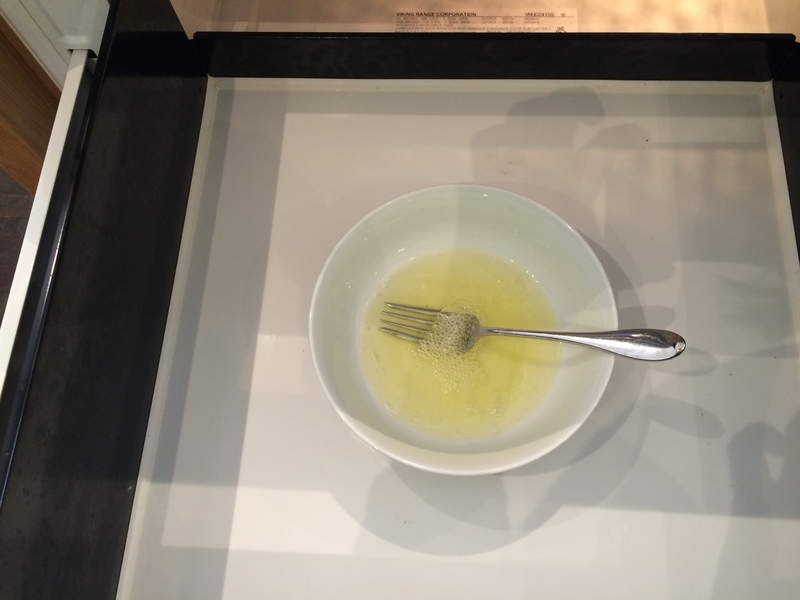 Quick curing the egg whites in the microwave. 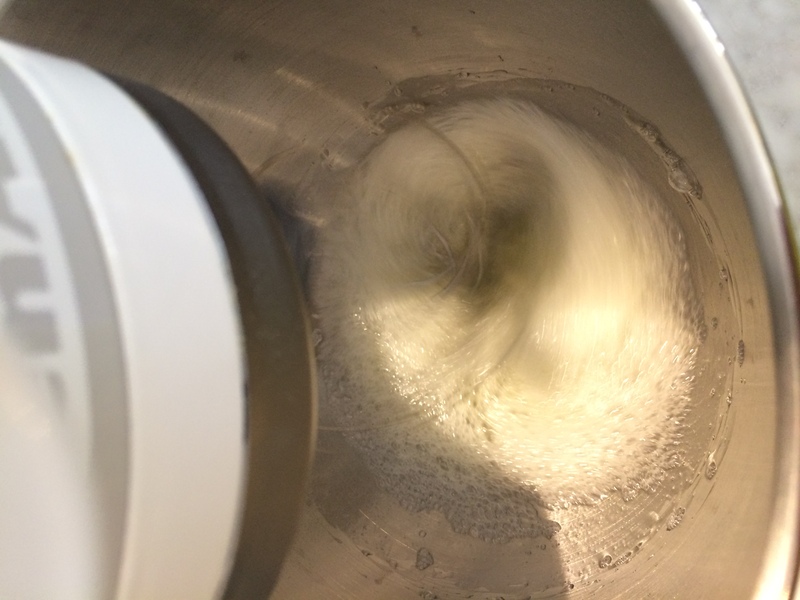 Now you can proceed to whip the egg whites using a hand mixer or Kitchenaid at medium speed. Slowly add the granulated sugar. This process should take, roughly 4 minutes. Just whip until they form stiff peaks. Now, you can carefully add about 1/2 of the rest of your dry ingredients, using a spatula to carefully fold the ingredients together. Use finely ground almond flour. If you feel extra efficient, you can sift your powdered sugar, but it didn’t seem to make a difference for me. Do not over mix (this is hard to do). The goal is to fold the ingredients no more than 10 times…..unrealistic for me, but it’s a good measure to keep in mind. Now add your food coloring (just a few drops to make your macarons into gorgeous pieces of art) and/or flavors. Go easy on these items. Too much liquid or additional flavoring will ruin the batter. A few drops or a scant teaspoon of coloring and or essences (rose water, vanilla, liquor, etc) or just 2 teaspoons of dry ingredients (chocolate powder, spices, etc). 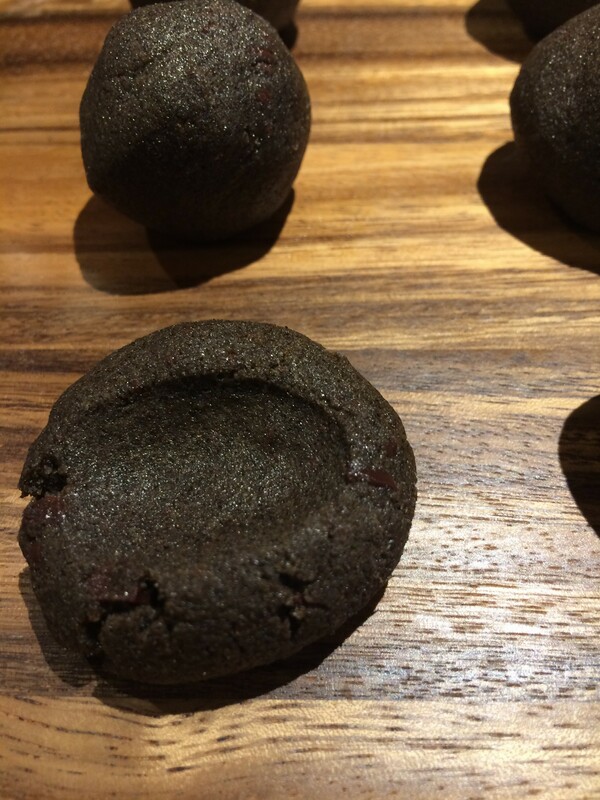 I opted to make a simple, chocolate macaron to start, so at this point, I added 2 teaspoons of raw cacao powder, then folded it into the batter a few times. Cacao powder and caramel for the filling! Now, add the rest of the dry ingredients and carefully fold into the batter. Quickly move on to the next step. You do not want your batter to sit! Fill up the batter dispenser! Here’s where all of the fun starts! 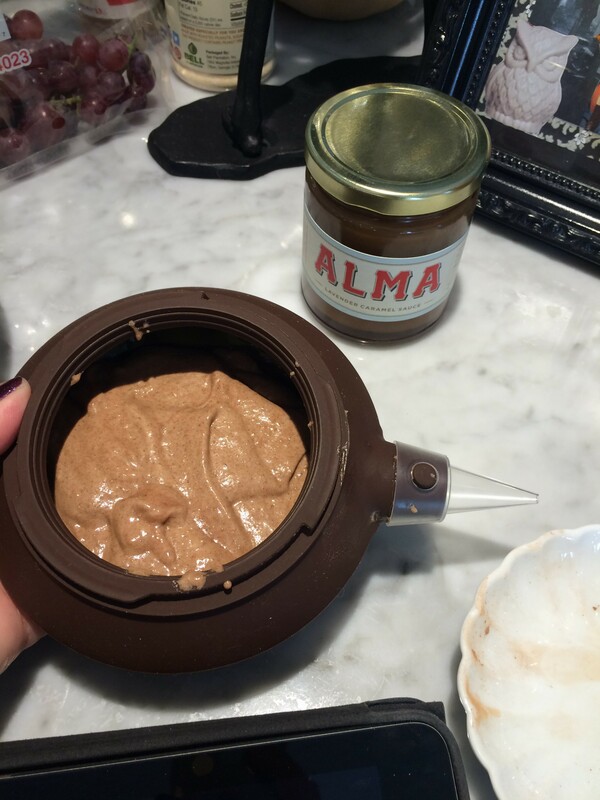 Place the batter into your pastry bag or dispensing tool of your choice. The kit that I purchased, has a silicon baking mat with circles outlined on it, for easy dispensing. I did not try to draw a circle with my batter. I simply pushed out enough batter to make a tear shaped, dollop. No worries, the batter will slowly flatten and spread out. I filled the entire pan and then, using a small spoon, I tidied up any stray or messy edges. After 35-40 minutes, a shell forms over the macaron. Now, let these beauties sit for 35-40 minutes. In this time, they should flatten out and form a shell. I highly recommend baking these in a convection oven preheated to 300 degrees for 8-10 minutes. (If you don’t have a convection oven, try 325 degrees for 20 minutes.) Mine were done in 8 minutes. It was very difficult to let them sit and cool down! I was so excited to fill and eat them! A few of them stuck a bit on the mat. No worries, they will be covered up with a tasty filling, soon enough! A few of them were slightly browned. Oh well, I ate those first. 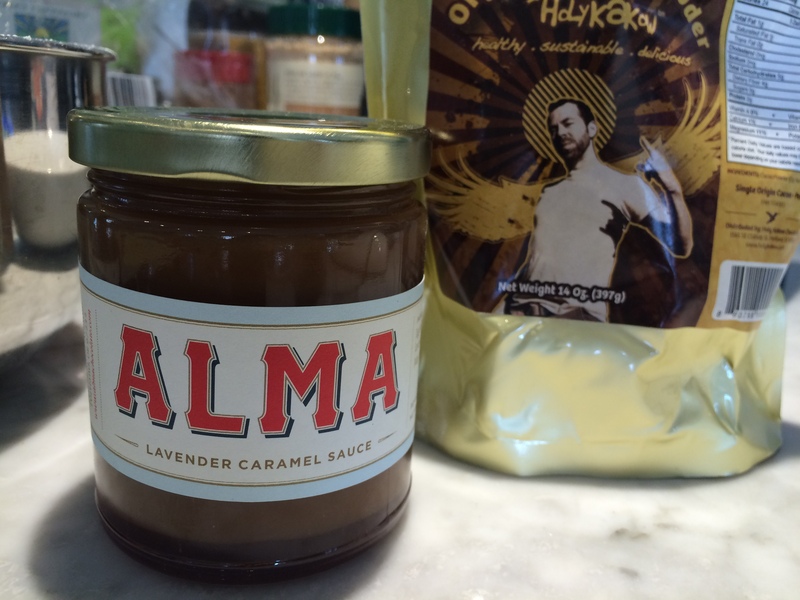 To simplify my macaron adventure, I decided to use some Alma lavender caramel sauce that I bought at The Meadow in Portland for the filling. 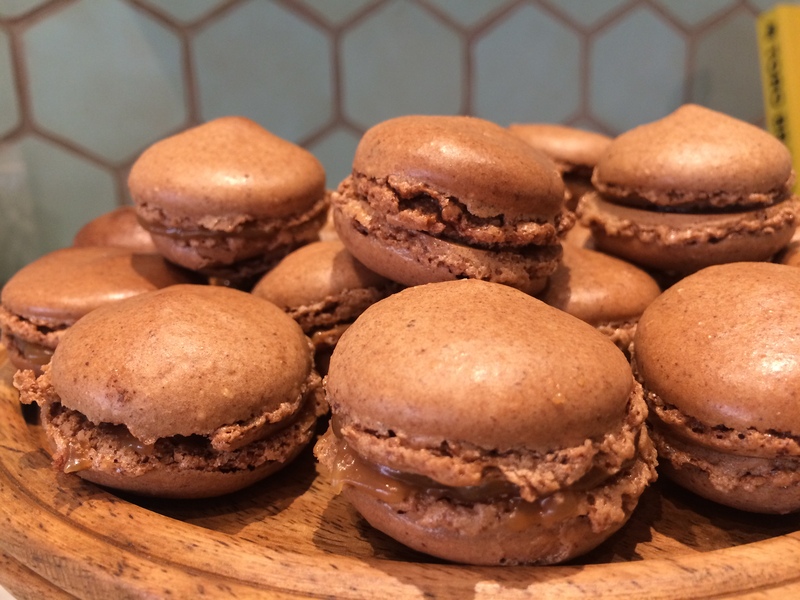 For the second batch, I decided to make balsamic and rosemary macaron with a fig jam filling. I added a scant teaspoon of balsamic vinegar and 2 teaspoons of dried rosemary to the batter. 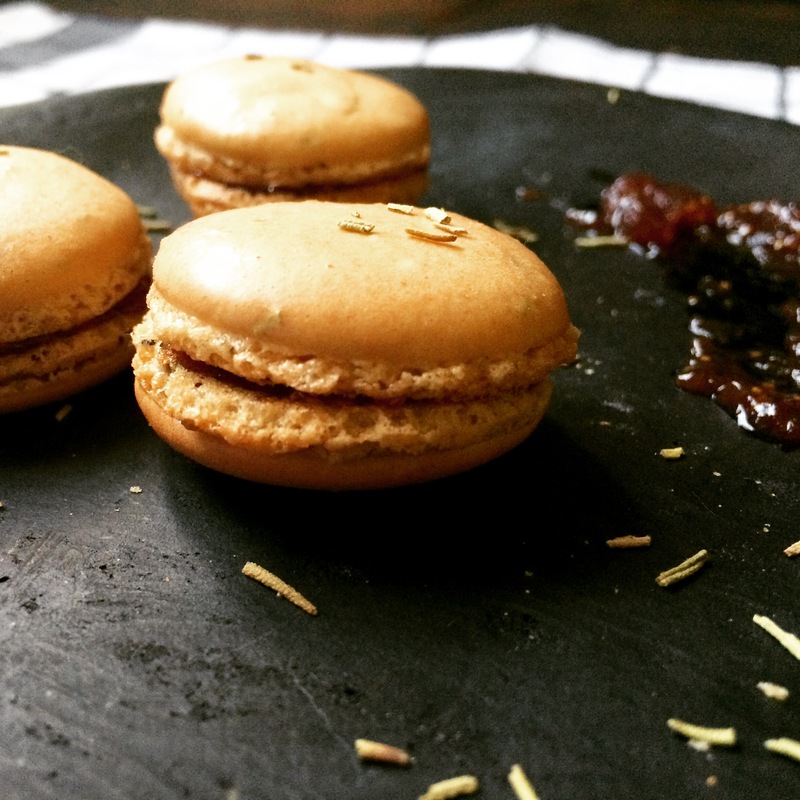 Balsamic rosemary macaron with fig filling. Cure the egg whites, by leaving them out of the refrigerator over night. Or you can put them in the microwave at 5 second increments, for a total of 20 seconds. Whip the egg whites and a pinch of salt using a hand mixer or Kitchenaid at medium speed. Slowly add the granulated sugar. This process should take, roughly 4 minutes. Just whip until they form stiff peaks. Combine the powdered sugar and almond flour in a separate bowl. Carefully, add about 1/2 of this mixture to the egg whites, using a spatula to carefully fold the ingredients together. Add your food coloring and/or flavors. Go easy on these items. Now, add the rest of the powdered sugar and almond flour and carefully fold into the batter. Place the batter into your pastry bag or dispensing tool of your choice. The kit that I purchased, has a silicon baking mat with circles outlined on it, for easy dispensing. 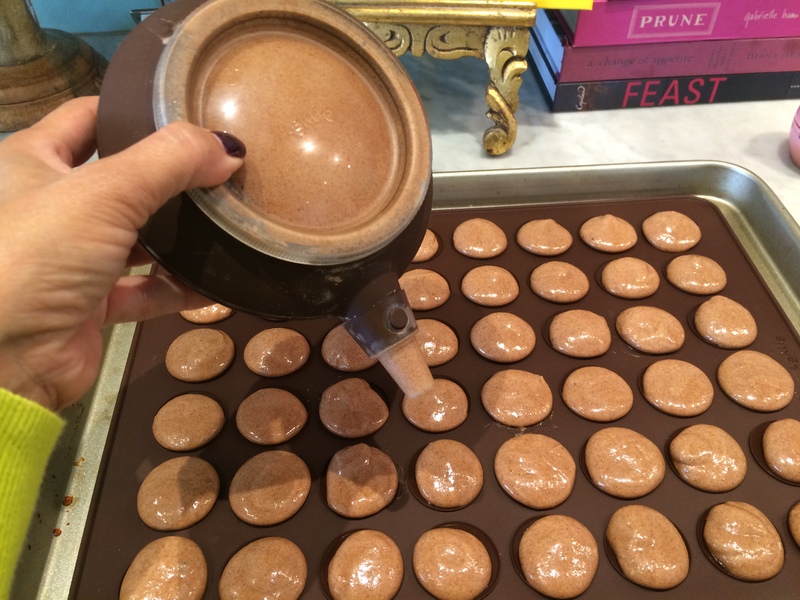 A regular sized cookie sheet should yield 48, to make 24 macarons. Now, let them sit for 35-40 minutes. I highly recommend baking these in a convection oven preheated to 300 degrees for 8-10 minutes. If you don't have a convection oven, try 325 degrees for 20 minutes. But what is Cacao Brittle? It is simply chocolate flavored, banana chips. I read the ingredients on the label and realized that I had all the ingredients I needed to recreate this GF chocolate yumminess. Banana, cacao powder, cacao nibs, almonds, coconut, maple syrup, vanilla extract, cinnamon, salt. 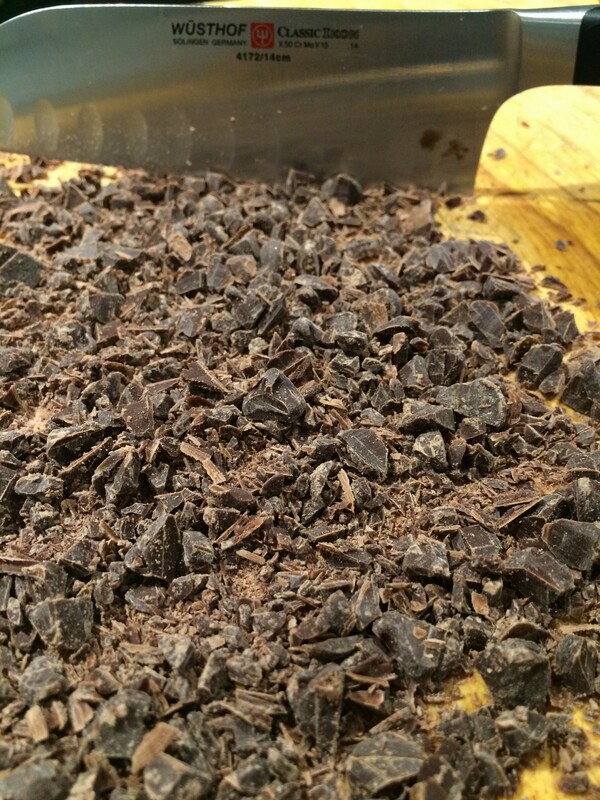 Throw everything into a food processor, until it turns into a beautiful chocolate, chunky mixture. Place it on a parchment lined cookie pan. Roll it out, so it evenly covers the pan, using a sheet of Saran Wrap (it’s very sticky). Remove the Saran Wrap. Now it needs to be dehydrated. I don’t have a dehydrator, but my oven has very low temperature settings. So, I set the oven to 150 degrees, put the pan in the oven and crossed my fingers. Every hour, I checked on it’s progress. 4 hours into the process, I could tell it was going to take much longer than I thought. At that point, I removed the pan from the oven. The brittle was pliable, but solid, so I began breaking it into pieces to speed up the dehydration process. Then I went to sleep, trusting that it would be perfect in the morning……and it was! My brittle was much thicker, almost like a thin chocolate cookie. Joy! I figured it out on my first try! Now, I want to try some variations, with different nuts, spices and flavors:) It does occupy your oven for 10 hours, but do it overnight, like I did and it makes it all worth it! Process all ingredients in a food processor. Incorporate all ingredients, until you get the consistency you desire. Place onto a parchment paper lined cookie sheet and roll out evenly, placing cling wrap on top of the mixture. Remove cling wrap.